Description: Sublow funky champion Roska comes through to take this already infectiously danceable monthly to a new level. Support from Ghosts on Tape, Disco Shawn and Oro11. This one hot on the heels of Roska’s new album out from Rinse. Description: Diplo & Switch get your body moving with dubstep support from now-LA resident Rusko. Description: Sixth edition of this monthly comes from MalLabel sounds of El Diablo with support from Retox and Psych Tyson. Description: Roommate of Babylon System headlines this bass attack at the Triple Crown. 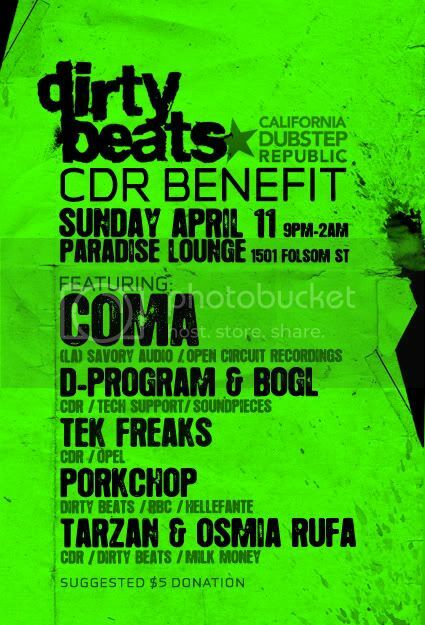 Description: California Dubstep Republic fundraiser with dutty sounds from Coma and local DJs. 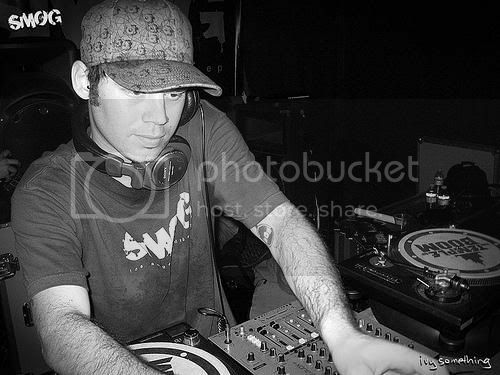 Description: Hellfire Machina comes straight from NYC to throw down a dirty night of beats. Local filth support. Description: Surefire turns 1 year old with this diverse lineup featuring future dub and bass sounds. 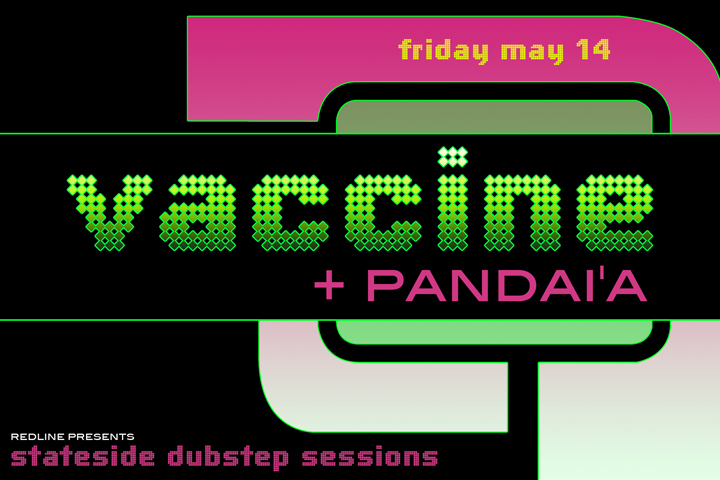 Description: Lady heavy lineup with the futuristic sounds of Vaccine and basswise selections from Pandai’a. Tickets: $10 with RSVP, $12 otherwise. Description: Basswise edition of Change the Beat with SF steppers DJG, Sam Supa, Sleepyhead and Bogl. Resident support from Dials & Salva. DJ G’s sound is deep, oraganic, and classic. If you don’t already know, his dude is next up!! Our very own Bay Area native will be in the house repping various world sounds. Listen to his amazing original production and peep the interview on Sonic Router..
Sam Supa puts it down heavy every time…if you’ve paid attention to the progression of the Dubstep scene in the city, you’ve seen Sam Supa down from day one. His party Grime City is one of the quintessential events in SF in recent years, and his crates run deep..so don’t miss!! Sleepyhead is a major up and coming player reppin the Bay, already shredding all up and down the coast at clubs and festivals, solo or with cohort Mimosa. He’s been spending time refining his own brand of deep, big room and genre-ambiguous production, soon to be released! Bogl has thrown some of the most forward-thinking parties of recent years under the Soundpieces umbrella, showcasing live art and world-syndicated acts, not to mention serving a selection of exclusive cuts from his colleagues around the globe. Plus he’s Change the Beat fam, so you know he’s got them next-level tunes.